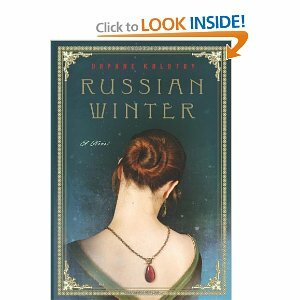 Russian Winter is an engrossing fiction novel from Daphne Kalotay that combines personal history with notorious events in human history. Flashbacks from Stalin-era Russia combine with the modern life of a Russian defector, Nina Revskaya, once famous as a Bolshoi ballerina. As she enters her final years, she decides to have a Sotheby's-style auction house sell her gems...purportedly to donate the funds to the Arts. However, it soon becomes clear that she has more personal reasons to divest of the jewelry-some of the pieces harbor memories that are too painful to hold on to. In the meantime, Drew, the auction house assistant, is charged with the task of determining the provenance of the pieces. A mystery arises as a new pendant is anonymously donated...one that would appear to be linked with Nina's set. The significance is clear: there's more to the story than Nina is willing to reveal. And it is the verification of the jewels history that becomes a story of assumptions and lies, and the betrayals that come as a result from them. The story was well paced, and plot twists developed that kept the mystery going. I also found the in-depth portrayal of the auction house's job of verifying historical jewelry fascinating. However, I had a few issues with the substance of the novel overall. One, I got the impression almost that a formula was being followed...'reveal this much detail at a time, then hold back, move on, and sprinkle foreshadowing liberally'. It worked, but once completed, the novel felt a bit manipulated. Another thing was I think the author wanted to show two powerful, independent women in action; and yet, both women (Drew and Nina) lacked warmth and were really kind of boring. The men in the story-Grigori and Viktor-were far more interesting and vibrant to read about. The women seemed passive in comparison. The flashbacks of Russia were of the most basic historical components: poets, vodka, intellectual suppression, mysterious arrests, the ballet, corruption, and poverty. In other words, there was nothing new added that dipped beneath a mere surface knowledge of "Russia 101." I would have loved if the book could have added historical details that would have revealed more complexity to the characters, in the way Vasily Grossman's Everything Flows uncovered a pain that explained its character's actions with more humanity. And yet, to someone unfamiliar with Russian history, they might find it a good introduction to the unique events of the region's history. Special thanks to Katherine Beitner of Harper Collins for the Review Copy. 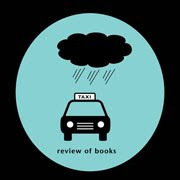 Amy, I agree with you on all counts: though the book was absorbing, it lacked a certain depth. I also think you're right that the male characters are much more interesting than the female characters -- I wished Grigory had gotten more of the book! That said, I found some passages quite enjoyable and hope it will help introduce more readers to Russian themes. I was more taken by RUSSIAN WINTER than you - I learned a lot about the arts under Stalin (that is, what the artists endured), and their reactions to the paranoia, informing, etc. Yes, it was basic info, but historically accurate to support the characters' personalities. Having said that, my qualm is the need for a contrived romance in the contemporary story (I'm not opposed to a love story, but didn't find it added to the novel). Amy, I've added your new-to-me blog to my GR; thanks for submitting to the Spotlight on Bookstores giveaway!